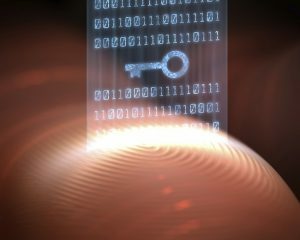 If verifying identities is a security concern, multi-factor authentication may be the best way to do so. More and more these days, approaches towards security are all about covering your bases. Identity theft has become almost the norm, so to help combat that, security experts are looking for more than one way to verify identity. This is the basis of what we call multi-factor authentication. For sensitive areas that need the best security measures, multi-factor authentication is important in verifying identity to a degree that is much more reliable than simple authentication measures that only require one form of identification. Multi-factor authentication is now used for any security system that requires multiple pieces of identification before allowing access to software, an account, or areas within a physical facility. Users are required to supply more than one form of data, such as when you access your bank account from an ATM and are required to have both your bank card as well as your PIN. When it comes to access control, this same method can be applied to granting access to certain areas depending on someone’s credentials. How Does it Impact Access Control? The same idea can be applied to access control. Someone may need to input their thumbprint through biometric access control while also entering a password. Likewise, video badging can be utilized on top of other means of access control such as key cards, mobile credentials, and so on. By utilizing multiple methods of access control, you can more accurately determine whether or not someone is meant to access an area of a facility. When considering implementing access control measures into your security approach, think about what technology could be implemented with one another in order to work for a more secure and thorough approach. This entry was posted on Friday, February 2nd, 2018	at 10:09 am	. You can follow any responses to this entry through the RSS 2.0 feed. Both comments and pings are currently closed.